When I first released my blog about “20 SENSIBLE WAYS TO SAVE MONEY IN 2017 Part 1,” the stats analytic on my website showed me how many organic traffic viewed the page. I realized that there is an incredible amount of people who are looking for ways to save money just like me. I tried to dig a little deeper for more ways to save money and came up with the new list for Part 2. 1) Learn basic sewing skills that will allow you to fix a broken zipper or add a missing button. Just find matching thread and a needle to get started on your repair and save clothes that you love to wear instead of tossing them out. 2) Limit your haircuts and styling to every other week (no more than twice a month) and buy inexpensive hair products such as shampoo, hairspray, and gel. Follow the same routine with your manicures and pedicures. 3) Buy a bike to commute to work (if the distance is manageable). Not only will this reduce your travel expenses, but it will also help you to get fit and to enjoy the outdoors. 4) Leave your car at home to reduce on wear and tear and to save maintenance over time. Public transportation, carpooling with coworkers, or sharing rides with family and friends will help you to save gas money. There are websites –such as www.commuterconnections.org, www.erideshare.com, www. carpoolconnect.com, www.commuterpage.com and www.connectingcommuters.org – to help connect commuters with each other. 5) Try a different route to work. Select a shorter route that could save you time, gas and you can get rid of finding yourself stopping by for something on the way to work or home for any unnecessary indulgences. 6) If you have a yard, start a garden to help trim your grocery bills. Vegetable gardening can be inexpensive and fun! If done right, it could turn into a hobby that produces a profit and brings food on the table for you and your family to enjoy. 7) Meat can be an expensive food on your grocery list. Cut down on meat by preparing “meatless meals” during the week. You can find lots of free recipes online that are healthy and provides the same nutrients. 8) Installing a programmable thermostat works best to save money with electric bills. All you have to do is set it to the right temperature and it will automatically adjust the heating and cooling of your home while you are away and when you are sleeping. 9) Downgrade to a cheaper plan on your cell phone if you don’t need or use the features that you are paying on your bill. Call your provider and see what you can do to trim your cell phone bill. 10) If you are paying a subscription for your local newspaper or magazines, you may want to cancel it since there are many ways to access that same information through online news feeds and the local library. You can also reduce clutter, especially as unread subscription build up. 11) How often do you use your gym services? Are you using it at least once a week? If not, you’re likely throwing away money. There are other ways to exercise for free, such as walking or riding a bike. 12) Check your premium package with your cable services. Think about downgrading to a basic plan or cancel cable channels that you don’t watch. Out of all the channels available on cable, there are probably only a few programs that you watch consistently. Additionally, look out for cable company competitors that may have great promotions and deals for new subscribers. 13) If your family uses online software that requires a monthly payment or fee, look for other options. For example, instead of using Photoshop, use the free online resource called GIMP. 14) Pay your bills online with your bank or utility websites. Going paperless will reduce clutter and will save you money on stamps. Have your statements sent to you by email and check your balances online. 15) Don’t carry all of your credit cards in your wallet. Leave them in a safe place at home and restrict some for emergencies only. This prevents you from impulse and stress buying. 16) Being mindful of drinking more water. This is a healthy habit as it keeps you properly hydrated and helps to reduce your food intake. If you drink a glass before each meal, it keeps you feeling fuller and, most likely, you’ll eat less. 17) Eat a heavy and healthy breakfast like oatmeal to fill you up with energy during the day. This also saves you from having a big meal and to binge on an expensive lunch. 18) There’s a difference between saving money and saving money for your future, so how about starting by setting aside $20 each week which makes you 40 every pay day, $80 a month and $960 a year right? 19) Be a smart shopper and join Ebates here to earn highest cash back rates at 5000 stores online. Earn from your online purchase and joining is free. You can earn $10 today and, if you refer a friend, you get $50! 20) Another one you don’t want to miss is joining Swagbucks here because it is one site that offers a variety of interesting perks other than the normal “cash back”. 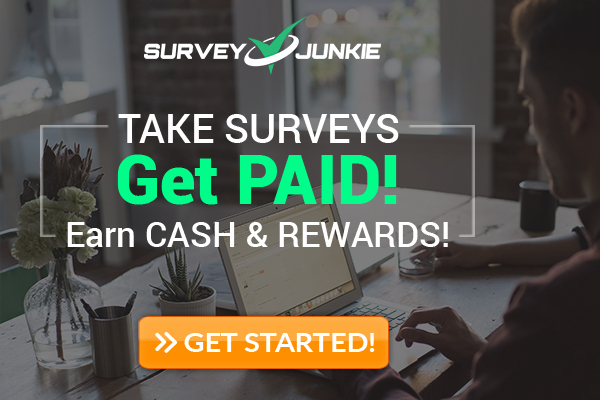 The company launched in 2005 and offers cash back or gift cards for doing things like shopping, taking surveys, watching videos, playing games, and even just checking out company’s offers. It is a free site and app that enables you to cash back your shopping online, similar to Ebates. So there you have it guys! I hope these will give you ideas on ways that you can save money. Let us know you’re your favourite tip on saving money by commenting on this article. Thanks for reading, and until next time, keep saving! All of these are great! We started a trip around the world and actually incorporated many of these to save mkney before the trip! Cutting down on meat, downgrading our cellphone plans and using public transport were the main ones. I would also add eating/drinking out less. This can save a bunch of money! I use a lot of these already! Great tips!! Boom!!! I am pretty sure you nailed this. I love the meat alternative, and I love meat. I think we look at meat as the primary substance of survival too often, I love finding alternatives that provide the texture and flavor of the meat. I never heard of Swagbucks before !!! It sounds like an awesome program! Great list! I really need to work on number 3 and 15!! The rest, I am sort of doing already, but probably not as well as I should! I try to walk to places as much as possible. But typically places I am walking to…. Are places I am going to buy things at! LOL! Thanks, it really helps when someone shares you all of these. Like you’ve known some of these but you still aint practicing it. Encountering this post motivates you even more. These are awesome! I am a college student always looking to save money! Brilliant..I usually chose to walk for shorter distances to save the fuel off! Great tips. I’ve done number 1 for years, and it has definitely helped me save some cash! I’d say invest in Insurance agencies that offer investment plans rather than in banks. They offer higher interest rates. Love the cashback program. Will join to save more money. Great tips. I didn’t even think of some of these, like cutting down on meat, which we eat a lot of. Thanks for sharing! Such fantastic tips – we already live by most of them. Love the saving money for your future tip – SO important!